Yes,this is true that all Globe and TM subscriber can now call the top fast food hotline number for FREE.Globe lunched this free call fast food hotlines to its million globe subscriber. Are you a globe subscriber? or a fan of fast food delivery? well this information would be useful for you even without load you can call fast food hotline for FREE. 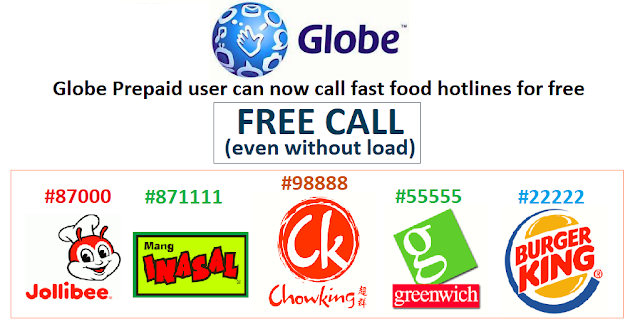 In below,pick at the top fast food chains partnered with globe business to amplify their meals delivery specific thru launching of fast food hotlines.